I haven't smelled a perfume in a long while that left a vivid scent memory. That usually only happens to me with scents that have some nostalgia tied to them. DOLCE & GABBANA's rose the one left is destined to mark space and time ... with little more that my folding back the sample flap. Delicately floral, the fusion of citrus and musk are so profoundly brilliant and feminine and romantic that I imagine it eclipsing everything else in my scent chest. 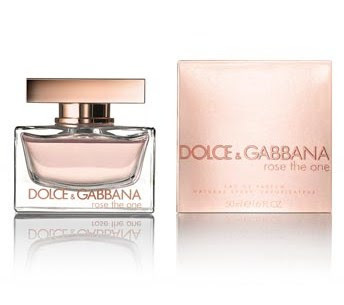 D&G lures you with fresh hints of pink grapefruit and mandarin amidst the softness of peonies and roses, and sealed with a warm musk. One spritz, and people will definitely love to smell you coming and going. My favorite perfumes are Burberry Weekend, Angel, Vera Wang and Aromatics Elixir. This perfume eclipsed them all!